Humidifiers help add moisture to your home’s air which can improve you and your family’s health, increase your HVAC’s efficiency and create more comfortable indoor environments. The whole home humidifiers available at A/C Contractors can help prevent illness and reduce your monthly utility costs. Our products are installed into your existing cooling and heating system, giving you complete control over your home’s humidity levels directly from your thermostat. With your humidity directly linked to your heating and cooling unit and easily controlled, you can experience improved efficiency, convenience and comfort. Prevents Dry Skin: Dry air can cause your skin, throat and nasal passages to become irritated and can aggravate existing asthma or respiratory conditions. Protects Furnishings: Furniture, wood flooring and other decor can become damaged, crack or warp when exposed to long-term dry conditions. With humidifiers, you can better protect your furnishing and keep them in pristine condition. Stops the Spread of Viruses: Homes with dry air are ideal environments for spreading bacteria, viruses and other contagious illnesses, while homes with healthy amounts of moisture can help prevent and reduce this spread and keep you and your family healthy. More Efficient Heating: With humidifiers, you can set your thermostat to lower temperatures during the winter months — the moisture in the air will help you feel the same amount of warmth as if your temperature were programmed to a higher setting. By lowering your temperature settings, you can save up to four percent on monthly heating costs. 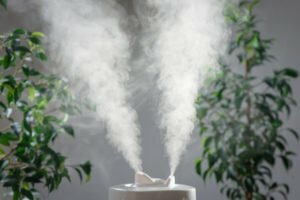 Humidifiers offer many health and comfort benefits, so it’s crucial to keep your system in proper working condition — local homeowners typically experience minor problems with their humidifiers like leaks, noisy operations or low moisture output. If your system isn’t performing optimally or is refusing to operate, then contact the professionals at A/C Contractors. We have the experience and tools necessary to make effective and efficient repairs to quickly restore your home’s comfort. Don’t delay improving your home’s comfort and increasing your HVAC systems efficiency with humidifier installation courtesy of A/C Contractors. 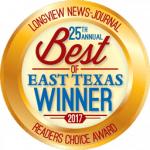 For over 25 years, we have been the best, most reliable and affordable humidifier installation and repair company serving homeowners throughout the Tyler and Longview, TX areas. With our experienced and certified professionals, we guarantee efficient, knowledgable and convenient indoor air quality services paired with product and workmanship guarantees, emergency services and project quotes. Schedule installation services today by calling 866-427-7689 or complete our online contact form.